I have a tendency to avoid blogging things if I think everyone’s already seen them. Sometimes I’m totally wrong, like with that damn fonts video I sent to Chuck a month or so ago. It was only kinda funny then, and now that it’s making the rounds, it’s getting annoying. But these two things are still cool! I swear! 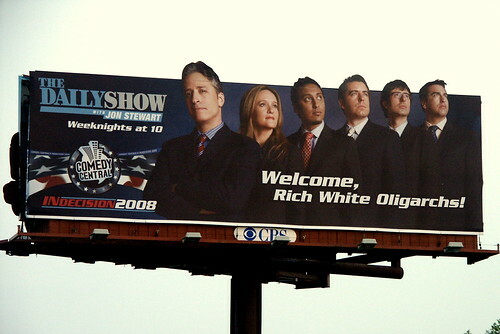 Well played, Jon Stewart. Well played.